There have been numerous coffee studies in the past that indicate America’s favorite hot beverage offers some very definite health benefits in terms of fighting certain kinds of diseases. 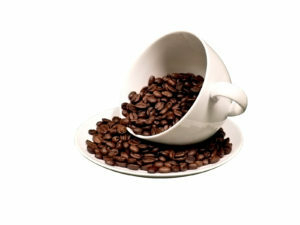 For example, studies have shown that regular coffee consumption can reduce the risk of some cancers. But now a new study recently released by researchers at the Harvard School of Public Health suggests that regular coffee consumption could reduce mortality rates too. To be clear, drinking coffee does not eliminate the reality of death. The fact is that 100% of people who are born also eventually die. When the researchers suggest that coffee consumption reduces mortality rates, they are suggesting that coffee drinkers are less likely to die of disease instead of old age. Let us look at some of the numbers for clarification. Researchers studied the coffee-drinking habits of 200,000 women and 50,000 men, some of whom were smokers and drinkers as well. They discovered a 6%-8% lower mortality rate among those who drank up to 3 cups per day (as compared to non-coffee drinkers), a 15% lower mortality rate among those who drank 3 to 5 cups, and a 12% lower mortality rate among those who drank more than 5 cups per day. Diabetes Risk – There are chemicals in coffee that reduce the risk of diabetes among regular consumers. Coffee has also been shown to help regulate blood sugar – a big problem for diabetics. Heart Disease – Other chemicals in coffee help to reduce inflammation that, the researchers say, can prevent certain kinds of heart disease. Heart disease prevention is also aided by better controlling blood sugar. It is interesting to note that regular coffee consumers are between 9% and 37% less likely to develop neurological diseases such as Parkinson’s and Alzheimer’s. Again, researchers have not come up with solid conclusions to explain the phenomenon. We do not often take the time to stop and think about it, but coffee has been a hot beverage of choice for millennia all over the world. Could it be that the health benefits of coffee have something to do with it? Perhaps. At any rate, most of us drink coffee today simply because we enjoy the taste and experience. That’s okay too. Here at Galaxie Coffee, we are committed to making sure our clients always have their favorite coffees, teas and other beverages readily available. Our office delivery service reaches all of the metropolitan New York City area with a full selection of beverages, office coffee and water equipment, breakroom supplies, and janitorial supplies. Could coffee consumption offer longer life? It appears that might be the case. So go ahead and enjoy your cup to its fullest. Hot and Cold Brewed Coffee: Which Is Better? Now that cold brewed coffee is all the rage among self-described coffee aficionados, we are faced with a cultural argument that seems to have no solution: which is better, hot or cold brewed coffee? Those who prefer hot coffee insist in that hot brewing is the only way to go while those who love cold brewed say the taste is a lot better thanks to less acidity and bitterness. So who’s right? Winter Weather – There are just some times when only a hot beverage is suitable. Winter weather comes to mind here. You might prefer a hot cup of joe over cold brewed coffee when the temperature outside is cold enough to freeze your breath. Hot coffee warms you up like nothing else. Summer Weather – The other side of that coin is summer weather. There are times when it is so hot outside that you wouldn’t even think of consuming a hot beverage under any circumstances. Cold brewed coffee with a few ice cubes might be just what you are looking for. Hot brewed coffee tends to be the preference first thing in the morning because the aroma of brewing helps to wake us up. It also tends to be preferred at the end of a formal meal and when sitting around socializing with family and friends. Cold brewed coffee is more appreciated at outdoor gatherings, during informal parties, and as a delicious beverage that can be consumed with a light lunch. Determining when hot or cold brewed coffee is preferred may be a simple matter of understanding the flavor issue. Ground coffee contains certain solubles that are dissolved in water during the brewing process to create the beverage we call coffee. It is these solubles that give coffee its flavor. And the reality is, hot brewing dissolves more solubles than cold brewing. At the end of the day, it all comes down to how much flavor you want packed into your cup. If you want maximum flavor and aromatics, go with hot brewed coffee. If you prefer a lighter and less intense flavor with no aromatics, choose cold brewed. It’s all up to you. Whatever your preference, Galaxie Coffee has a full selection of coffee products for your office. We carry standard coffees, gourmet coffees, single serve products and more, along with a full line of teas and cold beverages. We stock everything you need for complete office coffee and beverage service for clients throughout the greater New York area. We would be happy to service your office as well.